Understand the risks, pitfalls and, proven defenses. Security vulnerabilities in business web applications continue to be a significant source of risk for businesses. While there are a number of technologies that can be employed to help defend and monitor vulnerable applications, to fix and manage these kinds of vulnerabilities, we must have a practical and working understanding of application layer risks and proven best practices. Security PS has developed application security training courses aimed to equip software development teams and security staff with a working understanding of the risks and security best practices that address the top security flaws and vulnerabilities found in applications today. Our “Critical Web Application Security” course presents the most compact, in-depth discussion of security concepts that must be addressed by companies who need to design, develop, deploy, and manage secure web applications. Offered in a one-day bootcamp style event, the concepts and information presented in this session aim to raise the level of security awareness for architects, developers, technical managers, and security practitioners who need to understand web application risks at a technical level. Development teams will increase their understanding of modern attacks and risks and learn the security concepts and best practices that must be applied to application design, programming, and the development/deployment life-cycle. Likewise, security professionals will gain valuable insight to application layer security. Learn how to reduce risk and costs by applying security to web application development and deployment. Within these sections, a wide array of the most prevalent attacks and weaknesses are demonstrated on live applications, including Cross Site Request Forgery, SQL Injection, Parameter Manipulation/Injection, Insecure Direct Object References, Session Hijacking / Session Fixation, Redirect and Forward Attacks, Bypassing Access Controls, Credential Attacks and Bypassing Authentication, Cross Site Scripting, all the OWASP Top 10 and more. Date: Oct. 4, 2016 from 8:30am-4:45pm. Format: 1-Day, instructor lead with live demonstrations. Lunch and refreshments included. Group discounts available for organizations sending 3 or more people. 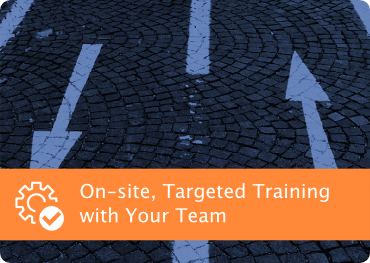 Contact us for group rates by e-mailing us at training@securityps.com. See below for currently scheduled training events available for you and your team to attend. Or, if you would like your team to have the opportunity to learn and interact about application security topics that affect your organization, contact us about bringing our training on-site to work directly with your team.